On the first day of June almost six years ago, I found out definitively that we were going to have a son. It was surreal. I was going through a myriad of emotions at the news. I was happy, worried and sad at the same time. I wished my father had still been alive for me to share the good news with him. I also was quite worried that I probably had not learned much about what it took to become a father. I wished I had learned more from my father while he was still alive; this was a topic we had never discussed. I was wrong about learning how to be a father. I had been learning all my life from all the great men around me who took my father’s place several times in my life. I learned from my uncle Henry Imasekha with whom I had lived longer than my parents. 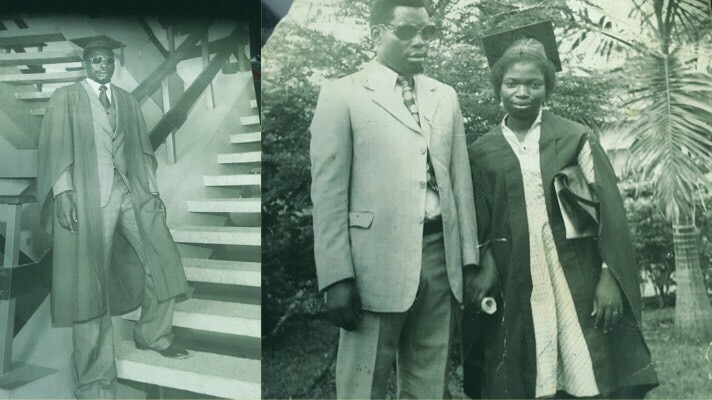 I learned from Dr. Daniel Lambert Aikhionbare who was the closest person to my father from childhood, and I learned from Professor Gabriel Osuide who was always there for me to guide me through significant decisions in life. I learned from the late Dr. Joeseph Itotoh who was my first mentor and school Principal. I learned from Mr. John Whitechurch my mentor and former client who has shown me how important it is to keep family close. I learned from my late maternal uncle “Thomas Omoruyi” who unfortunately also died shortly before my father passed. I also learned from my mother who told me all her father meant to her and how he was always there for her. For many years, my mother still cried on the remembrance day of the passing of her father who died long before I was born. She believed that if he had lived longer, her life would have been very different. I agreed with her as I saw all that he left behind; he was no ordinary man. I learned all the right things to do from these great men and also learned what not to do from a lot of others as well. I learned that family was a gift and a privilege after seeing the way orphans at an orphanage near my NYSC office at Sabo, were being treated. I learned that staying alive to be there for your children’s emotional support was probably one of the most underrated roles of parents. There was no burden in my mind that I could not discuss with my parents. I have been forever grateful for that. The biggest lesson I have learned about fatherhood is that it is not the job of one person. It is a collective job, a role that is fulfilled by a tribe of fathers all through our lifetime. It doesn’t matter if you came from a broken home as I did or if your parents have remained together all their lives. Fatherhood is a role bigger than one person; it is a collective commitment. It is the job of a tribe, the tribe of fathers. One father’s virtues and mistakes are not enough for a child to learn. It is the tribe that creates the next generation of parents. We don’t choose the tribe, but we find ourselves in it. The tribe gives generously and faithfully, the only reward we can offer in return is to pay it forward. As my children grow, I will do my best as a parent, but I also recognize that it will not be my job alone to meet all their needs. They will also need the help of a new tribe of fathers to support them and their peers. The friendships we have made, the new relationships we have formed are not for our benefit alone; they are for the benefit of all our children. My father once helped a young man to process his study leave with pay so that he could travel to study in America. Twenty years later, that man became a Senior Special Assistant to the Edo State Governor and gave me a project to do for the state for eight years. Income from that project paid our office rent as an early stage startup. That startup has created several jobs for several parents over the last couple of decades. One kind act is what builds the tribe. Let’s start forming those tribes by being kind to each other. My father would have been 77 years old today. I am creating a new Facebook group of 77 fathers I know and trust who will share all they have learned with each other and will be there as one tribe to support each other’s offspring. Find or form your tribe today and sow a seed.